We believe in ideas that create change. We craft compelling stories. And, we communicate. LCI is a full-service public relations and communications agency that helps clients take their businesses to the next level. 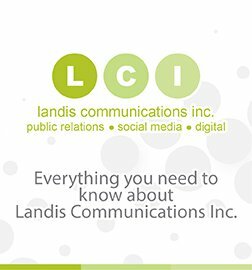 At Landis Communications Inc.®, we offer a myriad of pr services to meet our clients’ needs and help them grow their businesses. We are a one-stop resource, acting as a strategic business partner for our clients by providing marketing, public relations and communications services to help them achieve their business objectives. From developing social media marketing, content marketing and digital marketing strategies, to providing branding, positioning and crisis communication counsel, at LCI we do it all. We specialize in industries including Technology PR, Healthcare PR and Digital PR. LCI’s team of skilled public relations professionals has been on the cutting edge in the marketing industry for 25 years. As experts in business to business and business to consumer marketing, we know how to get your customers engaged. Our team has decades of experience creating award-winning public relations, communications and marketing campaigns for clients in a variety of industries. As a member agency of the Public Relations Global Network, we represent clients worldwide, helping them to connect with their audiences, achieve their goals and continue to grow. If you’re looking to partner with a world class pr and marketing agency to fuel your organization’s marketing strategy, look no further than LCI. We articulate goals and set strategy. We work together with the client, defining objectives, setting strategy, and outlining specific tactics, budget, and timeline. We then produce a written marketing communications and pr plan, implement the plan, and provide a monthly written report to the client. Articulate goals and set strategy. Results-oriented metrics which demonstrate promised results. Constant client interaction to achieve success. LCI named the #1 social media agency in the U.S.
How has LCI helped businesses lately? 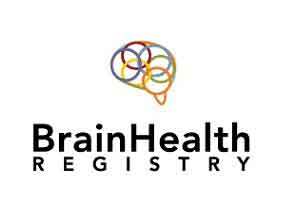 We helped an Alzheimer’s client, the Brain Health Registry, triple its membership and increase minority participation for clinical trials by 12%. Click here. We made the first breakthrough online dating service, Match.com, a household name. Click here. We created a social media program that supercharged engagement for Biscoff Cookies. Click here. We opened the newly-renovated Lucile Packard Children’s Hospital Stanford to national and regional critical acclaim. Click here. We helped make a major real estate development, The Infinity, the fastest-selling condo project in the country. Click here. We successfully launched Old Navy, a major new retail and fashion brand, with a major supermodel. Click here. LCI is the San Francisco member agency of the Public Relations Global Network (PRGN) (www.prgn.com). With our affiliation, LCI has international capabilities, with nearly 50 affiliate public relations agency offices worldwide.